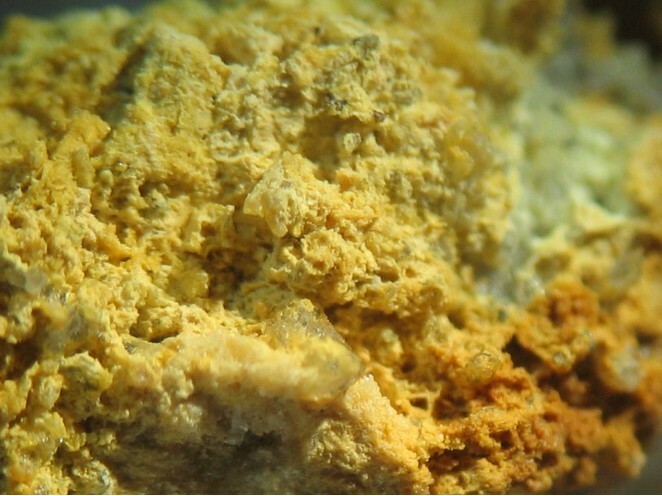 Oxyplumboroméite: Mineral information, data and localities. The Pb analogue of oxycalcioroméite, ideally Ca2Sb2O7, and cuproroméite, Cu2Sb2(O,OH)7. Chemically related to rosiaite. 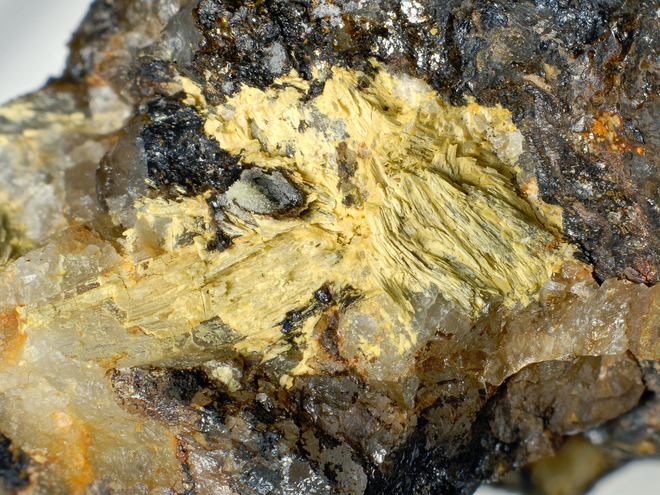 Oxyplumboroméite might possibly include much of the common but poorly studied materials known as "bindheimite" and "monimolite". In fissure fillings in tephroite skarn at the Harstigen mine. Quartz 9 photos of Oxyplumboroméite associated with Quartz on mindat.org. Cervantite 3 photos of Oxyplumboroméite associated with Cervantite on mindat.org. Mimetite 3 photos of Oxyplumboroméite associated with Mimetite on mindat.org. Scorodite 3 photos of Oxyplumboroméite associated with Scorodite on mindat.org. Jamesonite 3 photos of Oxyplumboroméite associated with Jamesonite on mindat.org. Bournonite 2 photos of Oxyplumboroméite associated with Bournonite on mindat.org. Cerussite 2 photos of Oxyplumboroméite associated with Cerussite on mindat.org. Boulangerite 2 photos of Oxyplumboroméite associated with Boulangerite on mindat.org. Azurite 2 photos of Oxyplumboroméite associated with Azurite on mindat.org. Unnamed (OH-analogue of Mimetite) 2 photos of Oxyplumboroméite associated with Unnamed (OH-analogue of Mimetite) on mindat.org. Christy, A.G. and Gatedal, K. (2005) Extremely Pb-rich rock-forming silicates including a beryllian scapolite and associated minerals in a skarn from Långban, Värmland, Sweden. Mineralogical Magazine: 69: 995-1018 [as bindheimite]. Atencio, D., Andrade, M.B., Christy, A.G., Giere, R., and Kartashov P.M. (2010) The pyrochlore supergroup of minerals: nomenclature. The Canadian Mineralogist: 48: 673-698. Hålenius, U. and Bosi, F. (2013) Oxyplumboroméite, IMA 2013-042. CNMNC Newsletter No. 17, October 2013, page 3000; Mineralogical Magazine: 77: 2997-3005. 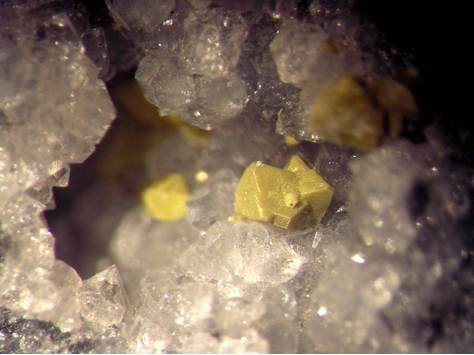 Hålenius, U. and Bosi, F. (2013) Oxyplumboroméite, Pb2Sb2O7, a new mineral species of the pyrochlore supergroup from Harstigen mine, Värmland, Sweden. Mineralogical Magazine: 77: 2931-2939. Kolitsch, U. (2014): 1883) Bismutit, Fluorapatit, Fluorit, Galenit, Hydroxycalcioroméit(? ), Kettnerit, Oxyplumboroméit, Pyromorphit, Tetraedrit, gediegen Wismut(?) und Wittichenit aus dem neuen, kleinen Steinbruch („Andradit-Bruch“) nördlich Kottaun, Geras, Waldviertel, Niederösterreich Pp. 117-119 in Niedermayr, G. et al. (2014): Neue Mineralfunde aus Österreich LXIII. Carinthia II, 204./124., 65-146. Gröbner, J. & Nikoleizig, J. (2009): Die Mineralien der Gruben Kahlenbergsglück & Grüne Tanne am Kahlenberg bei Zellerfeld. Mineralien-Welt 20 (4), 34-39. -Artiaga Torres, D.,Colomer Lorenzo,J.M.,Melgarejo,J.C.,A.Proenza J.y Mata y Perelló, J.M. (2011) Nuevos Datos sobre las Minas de Plata de Alpartir (Zaragoza). Soc. Esp. de Mineralogía. Revista Macla nº 15, 35-36. Hålenius, U. and Bosi, F. (2013) Oxyplumboroméite, IMA 2013-042. CNMNC Newsletter No. 17, October 2013, page 3000; Mineralogical Magazine, 77, 2997-3005; Hålenius, U. and Bosi, F. (2013): Oxyplumboroméite, Pb2Sb2O7, a new mineral species of the pyrochlore supergroup from Harstigen mine, Värmland, Sweden. Mineralogical Magazine 77, 2931-2939.
ⓘ Unnamed Zn-Pb-Ag-Cu-Sb-Cd prospect (Shaft; Trench; Decline prospect) ? ⓘ Delamar mill tailings pile ?